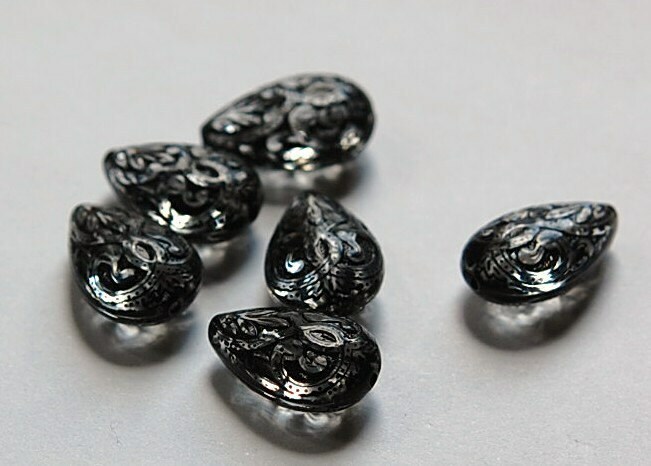 These are vintage style acrylic beads. They are clear in color with black details. 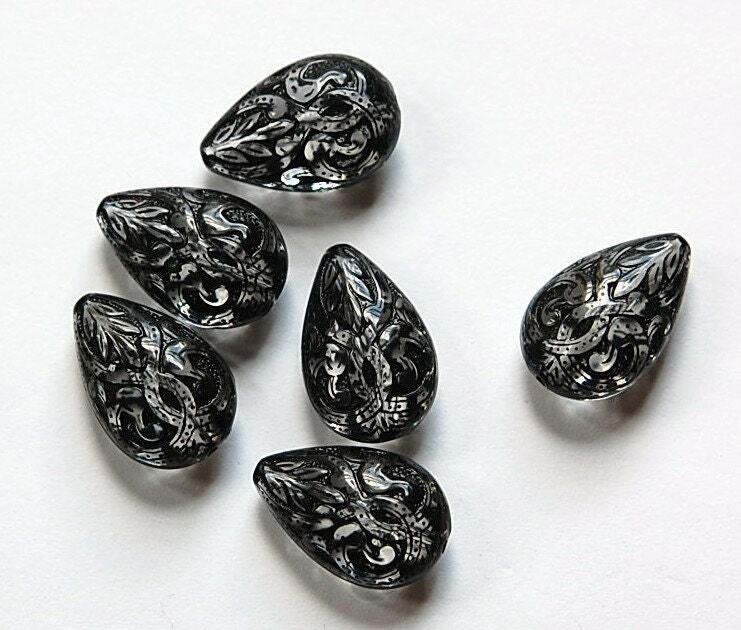 The teardrop shape has an etched design on both sides. These measure 19mm x 13mm. You will receive 6 pieces. this shop is one of my 'go to' places- never disappoints!! I loved every single item I received, they all met or beat my expectations! Shipping was super fast and well packaged! I will be back for More! These are just lovely! So excited to make something beautiful with them! Thank you!